Beyond visiting the resting places of family and friends, spending time near graves might seem like the domain of moody teens or vandals. 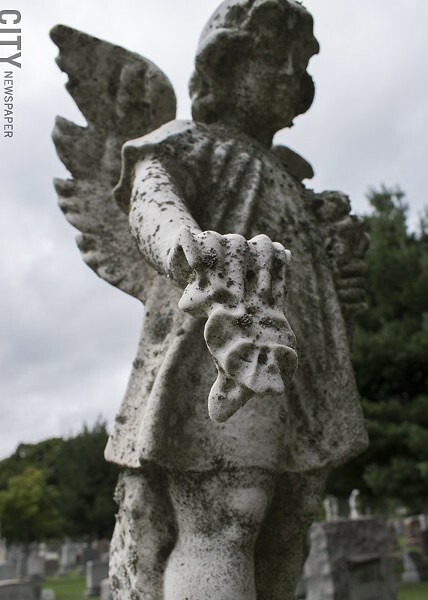 But in many ways, cemeteries are ideal places to spend a peaceful morning or afternoon, alone with your thoughts while you're jogging or in the company of friends. There's so much wide open space in the US that we tend to keep parks and burial grounds separate, unlike smaller, older countries where traditionally, the living celebrate being alive in proximity to the remains of the dead. 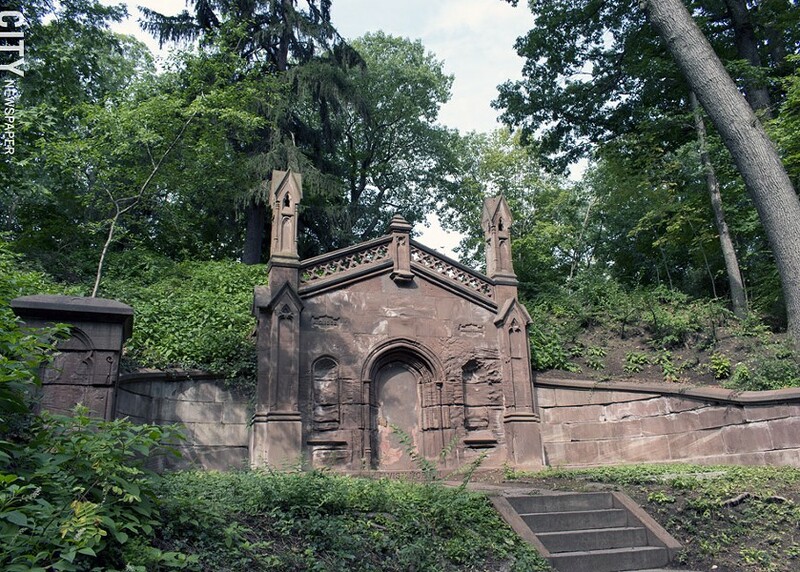 Renée Heininger and Rebecca Rafferty describe their ramble through four of Rochester's park-like cemeteries. 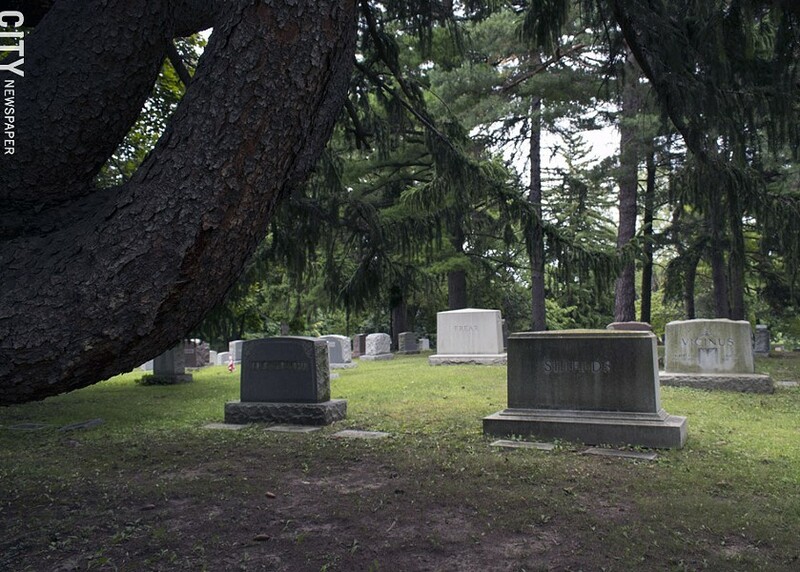 A Catholic burial ground, the 332 acres of Holy Sepulchre Cemetery are interspersed with gardens and wide lanes lined by tall, evenly spaced trees. 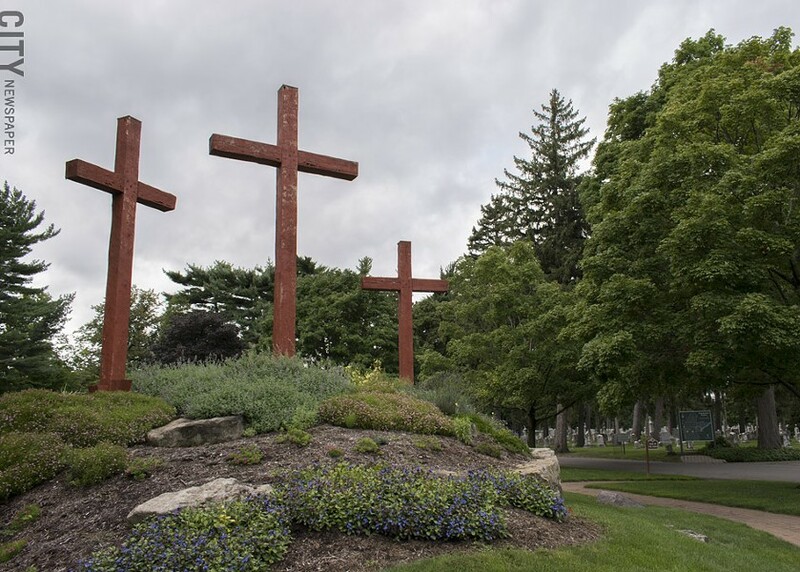 At the entrance are three imposing brutalist crosses, rising from the center of a flower bed, and a gilded replica of Michelangelo's "Pietà" sculpture. Lots of angelic statuary and massive old pines (and more than 100 other types of trees) stand sentinel. The even terrain and walking lanes would make Holy Sepulchre an ideal place for a winter walk, your footsteps dampened and sounds from the street muffled by snowfall. Built in 1871, Holy Sepulchre holds the remains of nearly 300,000 people, including well-known Rochesterians such as Al Sigl, silent film star Louise Brooks, and Bishop Bernard John McQuaid. 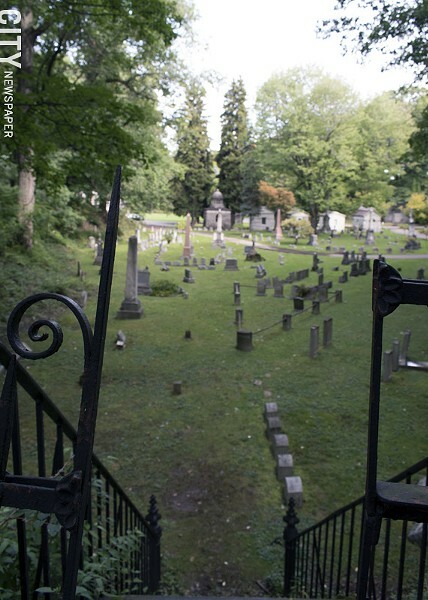 If you're not paying attention, you could temporarily lose your bearings in the hilly, labyrinth-like ramble that is Mount Hope Cemetery. Though its acreage is doesn't quite reach 200, the place feels massive, given the undulating terrain and grand architecture of the crematorium and various mausoleums that pepper the landscape. 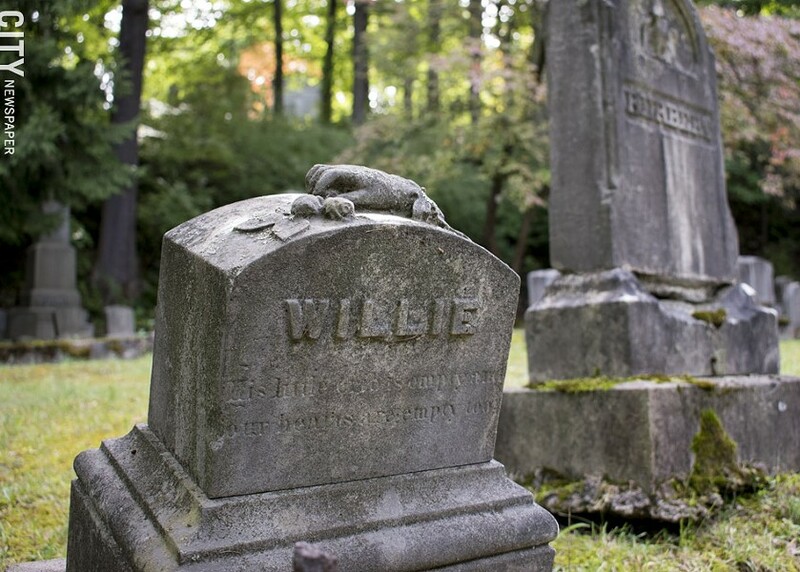 Founded in 1838, Mount Hope has graves of people who were born in the 18th century, though many of the engraved names and dates are no longer legible on weather-worn, slate-thin headstones. On our visit, we made a game of finding a birth year in the 1700s that was still legible. 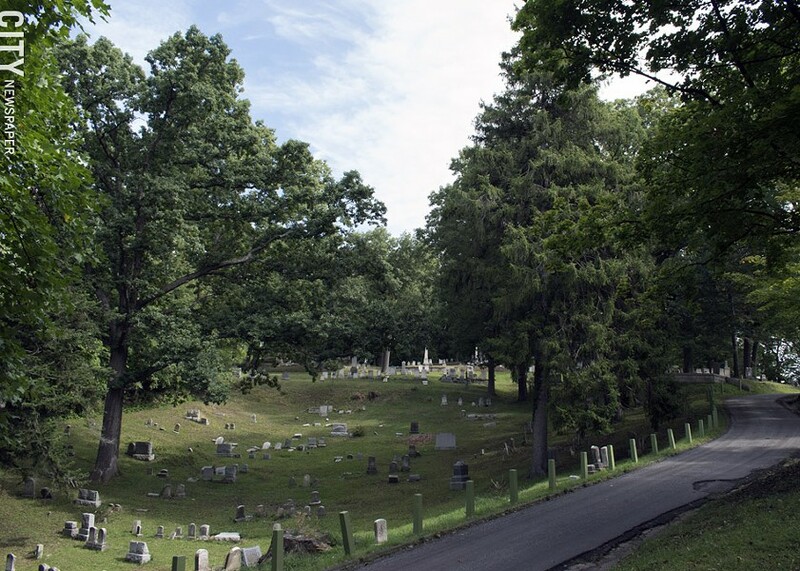 It's fairly well known that Susan B. Anthony and Frederick Douglass are interred at Mount Hope, but you can take one of many guided tours throughout the year that provide stories of more people buried there, as well as fascinating bits of Rochester history. There are stretches of flat land as you get closer to College Town, but the beauty of Mt. Hope is the unique trek offered by the central, sylvan part of the place. There's a feeling of tenuous disorder to the leaning and broken headstones on hilltops, amid elephantine beech tree roots (the tree trunks often scarred with lovers' names carved in), or divided into family plots by wrought iron, stone, or chain-link borders. 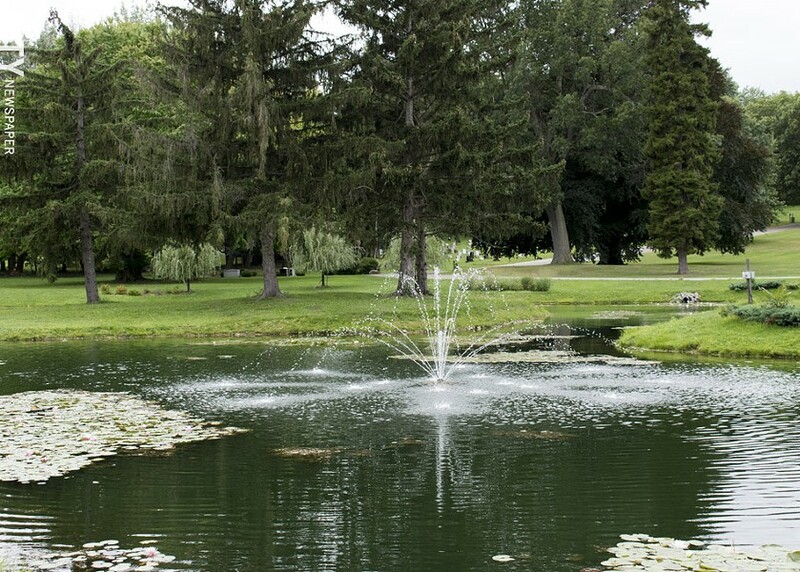 Built in 1892, Riverside Cemetery is a relatively flat 123 acres of land that borders the west bank of the Genesee River, but don't get excited about a riverview. 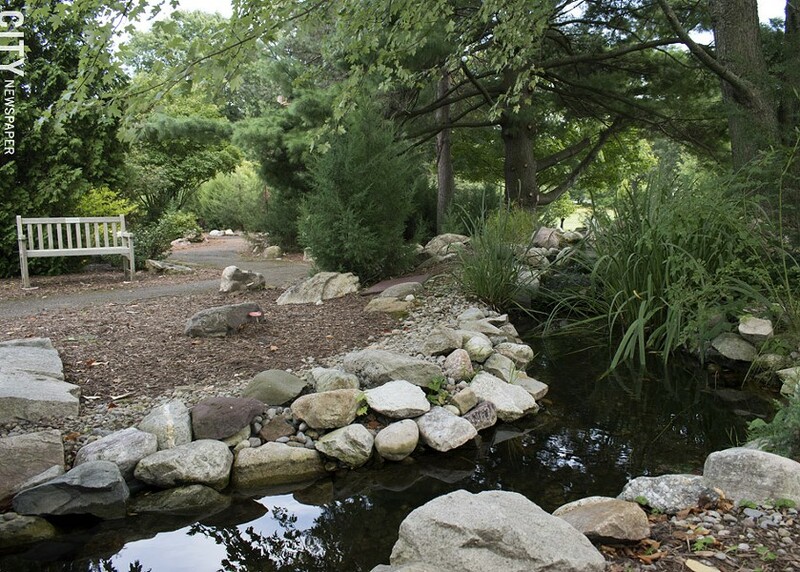 There are plenty of beautiful vistas, including thick copses of dark pines and knotty deciduous trees (the grounds double as a natural arboretum) and a pond with a fountain and dense clusters of water lilies. We anticipated being able to walk along the river, but there's a hilly edge you probably shouldn't get too close to, and the view of the river is obscured by trees. If you stroll around the pond, look out for angry geese and their droppings, which is slippery and just unpleasant. But you might also spy white-tailed deer, wild turkeys, and other species of birds. Located near the entrance of the grounds is the Chapel of Peace mausoleum, which is filled with light during the daytime by skylights, and can accommodate up to 70 people. Among the notables buried at Riverside are organized crime figure Giuseppe Aiello and William Joseph Beldue, inventor of the eyelash curler. White Haven Memorial Park opened in 1929, and isn't a traditional cemetery with plots marked with headstones. 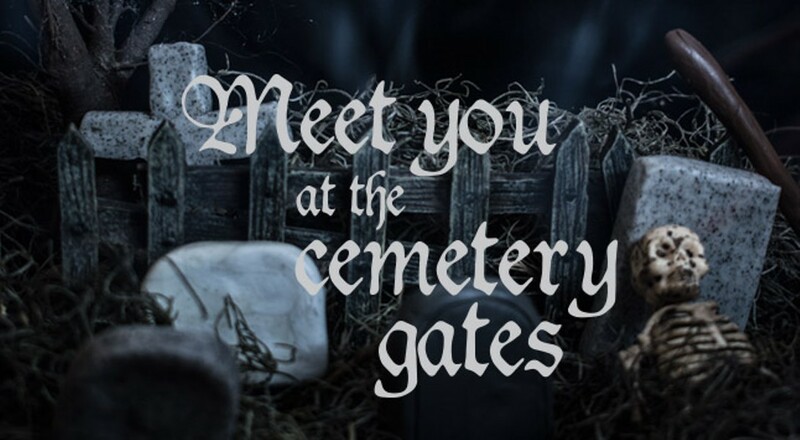 Located across the road from Powers Farm Market, the 170 acres offering spaces for quiet reflection, including a gazebo and trails that are lined with benches and stones, each with the names of the dead on metal plaques. 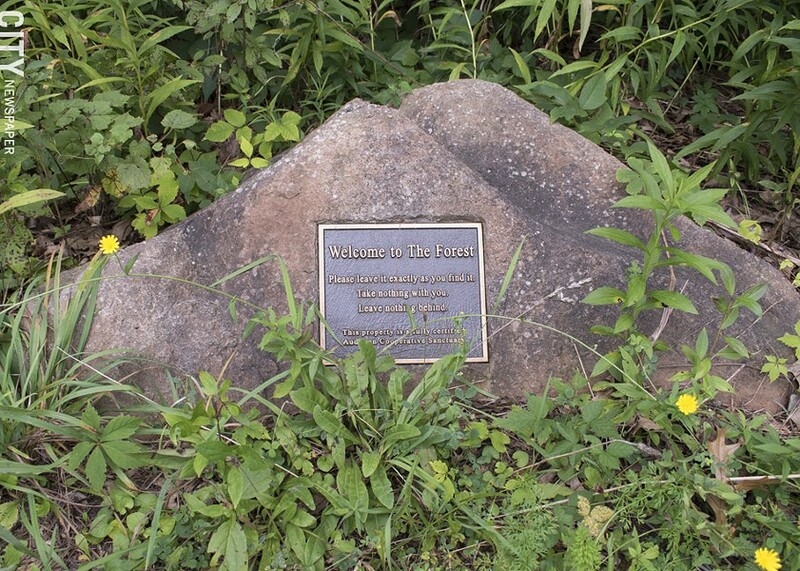 The park is a certified member of the Audubon Cooperative Sanctuary Program, and its grounds are peppered with blue bird and bat roosting boxes, and meadows that also serve as a green burial ground. 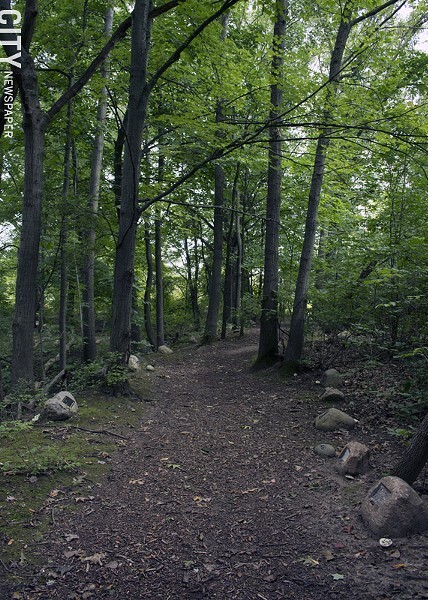 A creek runs through the woodsy parts of the landscape, and the overall vibe feels less like being in a cemetery than out in a forest trail enjoying nature (there are more than 80 acres of undeveloped forest and meadow land on site).